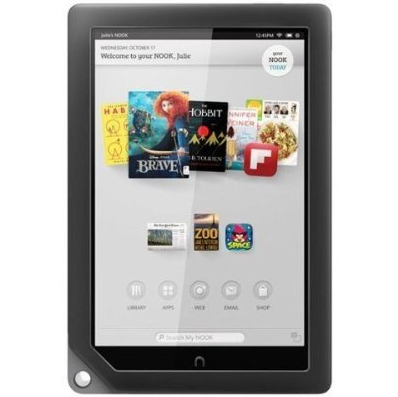 The Nook HD+ doesn't have the latest and greatest internal hardware: the processor is a relatively dated Texas Instruments OMAP 1.5Ghz dual-core, there are no cameras, and storage is a bit lacking at 16GB. But at the time of its release it had one of the best screens of any Android tablet, and what's more, it was a full $120 more expensive ($150 more than eBay's price today). 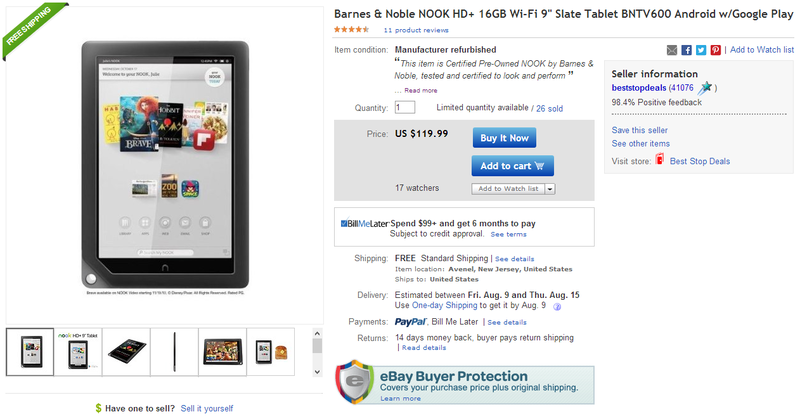 Barnes & Noble added access to the Google Play Store back in May, shortly before putting the future of the Nook tablet line itself in some doubt. But easily the most exciting thing about this deal, at least for Android power users, is that the Nook HD+ now has official CyanogenMod support. That means that with some light hacking, you could get a solid 9-inch tablet running Android 4.2 (and 4.3 soon enough!) for just $120. It's almost like going back in time to when the trusty old Nook Color was the modder's tablet of choice. As always with eBay Daily Deals, sales are limited by stock, so pick one up quickly if you're ready to buy.